The city of Manchester, England is rich with musical history. So many bands that I adore call Manchester home – The Fall, The Smiths, The Chameleons, Joy Division, New Order, The Stone Roses, Oasis, Magazine, I Am Kloot…the list could go on and on (truly). Some of these bands don’t seem to go together, but the attitude is the unifying thread. That unifying thread is giving voice to the disenfranchised, using art & music to give a voice to those who haven’t been heard. 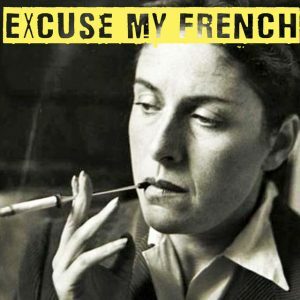 Woman You Stole is a new band out of Manchester and Excuse My French is their debut single. Impressively, they are imbued with a sense of the Manchester vibes that I adore so much. 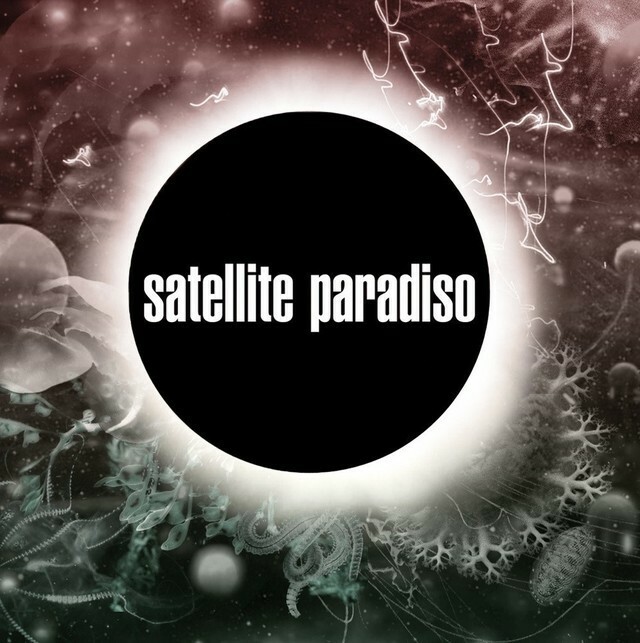 You can follow the band on The Social Network and buy the single at all digital retailers. One of my favorite indie acts over the last few years has been England’s Curry Quiche. They found that sweet spot blending hooks with social commentary – not unlike The Clash. Lyrically, they cut to the core of the issue while making the listener sing along – it doesn’t get better than that. After 2017’s Behind the Machine I was dismayed to hear that the band had disbanded. Fortunately, 2 of the members regrouped as Beached. The intent with Beached is to go down a more commercial, more electronic path. 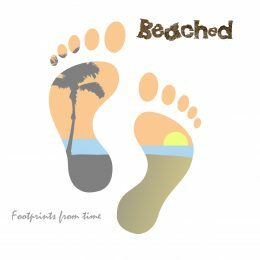 The theme of their debut album, Footprints in Time, is time & relationships. How does it compare to Curry Quiche? Very well, as it turns out. It Ain’t Easy sounds like The Byrds meets Ocean Colour Scene and is a standout. A sing-a-long anthem, it hints at despair beneath its breezy tone. “Don’t it seem some things / They just turn to nothing / And I’m barely coping / It ain’t easy”. It is the perfect choice for the single from this release. Days Stand Still has an intricacy to its guitar parts that reminds me of Simon & Garfunkel or Kings of Convenience. Add in those layered harmonies and it is a tune that’ll find repeated plays. Walking in Our Sleep slides into shoegaze territory – a melodic bass line, hushed vocals, and a mix that emphasizes vibe over instrument separation. Always Something Up closes the record on an upbeat, rocking tune that wouldn’t sound out-of-place on a mid period album by The Monkees (the absolute highest praise coming from me). You can find out more about the band and / or order records here. I highly recommend this album – it has been a soundtrack for an unusual month for me, and its summery tones are capable of providing an escape from drudgery. 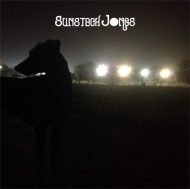 Keep your eyes open for the latest full length from Sunstack Jones – coming out this summer. In late 2013 I saw two very different films in the theaters – The Wolf of Wall Street starring Leonardo DiCaprio and The Secret Life of Walter Mitty starring Ben Stiller. Wolf was an assault on the senses – every form of depravity in all its glory (and pitfalls) in my face for 2 hours plus. I loved every second (as did the critics). Walter Mitty was the follow-up film for me, and I also loved every second for very different reasons. Critics seemed divided, but I think is because there isn’t any sarcasm to be found. It’s just a feel good movie that leaves you feeling inspired at the end. Wolf doesn’t make my top 10 films of all time, while Mitty is entrenched in the 2nd spot (The Life Aquatic With Steve Zissou will never budge from #1). Swedish artist José González was tasked with composing music for the film – star Ben Stiller had been a fan of his music and specifically requested his input. 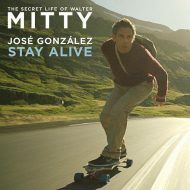 Stay Alive was the single from the soundtrack and was a collaboration between González, Ryan Adams, and Teddy Shapiro. I have had it on constant repeat ever since it was released. Plaintive vocals, lyrics that convey doubt & hopefulness – it is imbued with a sense of the Walter Mitty character that Ben Stiller brought to life so wonderfully. The orchestration is lush while the music is a perfectly constructed indie pop song. Lyrically, it is simply perfect. “Sometimes there’s things a man cannot know / Gears won’t turn and the leaves won’t grow”…We’ll do whatever just to stay alive / Well the way I feel is the way I write / It isn’t like the thoughts of the man who lies / There is a truth and it’s on our side”. We last heard from the Nutopians in early to mid 2015 with the release of their EP, Time. Musically indebted to the post-punk scene of Manchester in the early 80’s, it struck a chord with me that has remained. I felt that the duo’s debut album would be stunning, and – well, I’m not wrong. As a refresher, the Nutopians are made up of a a father and son combo – Ian & Phil Jackson. I quite like the idea of a father and son working together in the arts, it lends the proceedings a gravity that feels different from friends bashing out a record. Personally, the last two weeks of my life have been marked by some unexpected tragedies and I’ve been able to do little but work, engage with friends & family, watch movies, and listen to music (writing has taken a backseat). 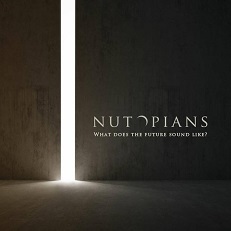 This album by the Nutopians has been my go to album as I’ve sorted out heavy emotions. What I love about this band is that the lyrics deal in heavy life issues but always offer solutions. Or at least, wistfulness without regret. Musically, think post-punk with a slant towards power pop. I 1st became aware of the Psychedelic Furs early in my youth as MTV played the hit single Love My Way – it might have been on 120 minutes or even during the regularly scheduled videos of the day, my memory is hazy. I was instantly hooked and began collecting every tape I could find by the band (I hear tapes are making a comeback these days). Along with the 1st Live record and the Pixies, the ‘Furs were my gateway to what they called “alternative music” back in the late 80’s and early 90’s. Although I had 1st heard mid period ‘Furs with their eerie synths and otherworldly vocals, I gravitated towards the earlier records that had edgier guitar work. The last single from the great SupaJamma with the great Martin “Sugar” Merchant on vocals? Say it ain’t so! Last year Merchant left SupaJamma on friendly terms, leaving the band to carry on with special guest singers. The last recordings with Merchant are being released, with We Run Tings being touted as the last single (surely there is an anthology forthcoming – one can hope and pray). Curiously the band is releasing their strongest song as their final single, which speaks of what a tight unit the lads in SupaJamma are / were. As a recap, the band features Sugar on vox, Simon Collier on bass, Lord Bevs on guitar, Steve Wilson on keys, and Dan Adams on drums. 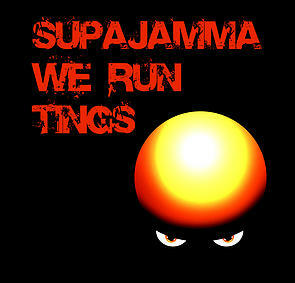 We Run Tings is driven by a killer bass line and Portishead type orchestration. The band is on fire, absolutely everything gels here. The vocals alternate between dancehall toasting and sweetly crooned vocals. Again, during those sweetly sung sections it reminds me just a bit of Portishead in the best possible way. The key line from the song that I keep returning to is “let’s get together / let’s all unite”. An uplifting message and a wonderful song to close out this chapter in the SupaJamma story. A reminder of the power of music and the euphoria it can bring. The single is available at most of the major digital retailers and again is being released by Stereokill Recordings, who are releasing music from some of the finest indie bands out there today. Nice one.